This fabulous two bedroom detached bungalow is offered for sale with no upward chain and is situated in a cul de sac position in the sought after village of Whetstone. Entering into the hallway you will immediately be greeted with an inviting feel about this home. The kitchen has been fitted with a range of wall and base units, built in oven, hob & extractor fan as well as space for a fridge, freezer and washing machine. The kitchen also has a two seater table to enjoy meal times. A wall mounted living flame gas fire helps to create a cosy feel in the good size lounge and has sliding patio doors leading you into the conservatory, a fabulous addition to this home. 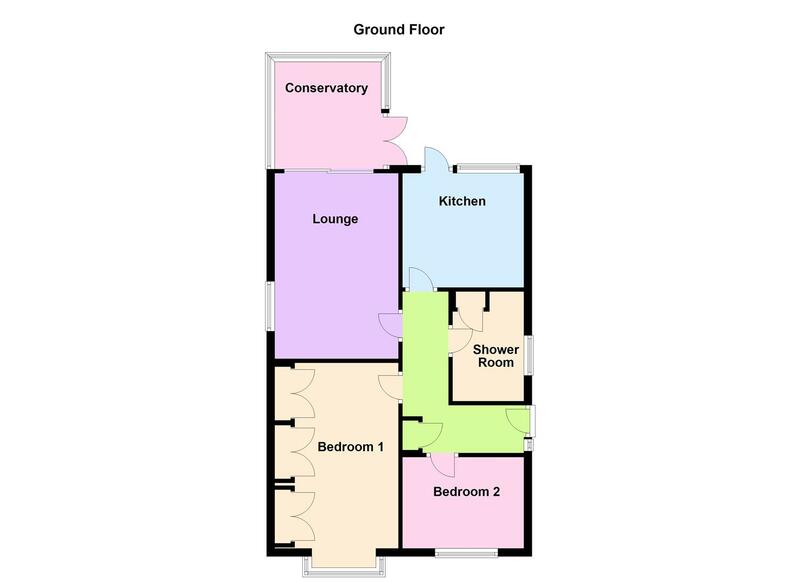 There are two double bedrooms with windows to the front aspect allowing natural light to shine through making them both light and airy rooms. Bedroom one also benefits from built in wardrobes. The shower room has been fitted with a sit down shower cubicle, pedestal wash hand basin, low level wc and a storage cupboard. In Whetstone you will enjoy a lively local community with plenty going on, there is Blaby & Whetstones Boys Club, a golf course, two very well regarded primary schools, St Peters and Badgerbrook and two feeder high Schools in surrounding villages. There are churches, public houses and a good selection of local shops including a post office, supermarket, pharmacy and a dentist. Whetstone is located within a close proximity to the city and the open countryside, with excellent access to the motorway networks and Narborough train station.